Tucked away in the Augustus Tower of Caesars Palace, Restaurant Guy Savoy, the eponymous chef’s only American venture, is a quiet oasis away from the crowds of the casino floor. Be assured that you’ll get the same quality treatment and meal here that you would at the original Guy Savoy in Paris. This fare may seem complex, but at its heart, each dish is beautiful and comforting, prepared with ultra-high-quality ingredients and impeccable technique. The same goes for the wine list, with some 1,700 bottles, about 85 percent of them French (naturally), including many older and rare vintages. If it seems daunting, the capable sommelier can guide you through your wine during the evening. 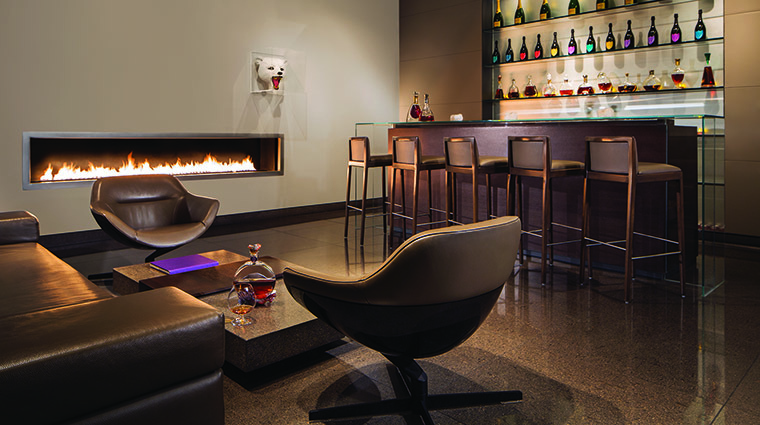 Otherwise, head to the restaurant's Cognac Lounge, Las Vegas' first such spot, for a snifter. While you’re having your elegant getaway, the only thing that might remind you that you’re still in Las Vegas is if you glance out the windows at the gorgeous, sweeping views of the Strip. • The Jean-Michel Wilmotte-designed dining room is a near replica of the original restaurant in Paris — the obvious difference is the Caesars Palace ceilings are much higher. • Step out on to the enclosed terrace to take in the sights of the Las Vegas Strip — it seems only appropriate that you should be able to see the Eiffel Tower of Paris Las Vegas proudly sparkling across the street. • Make no mistake: While Savoy’s name is emblazoned on the giant, wooden doors, the chef expertly carrying out the high-end French fare in Las Vegas is executive chef Julien Asseo. • Two of the best parts of a meal at Guy Savoy come at the beginning and end, and they’re both on wheels: the bread and dessert carts. 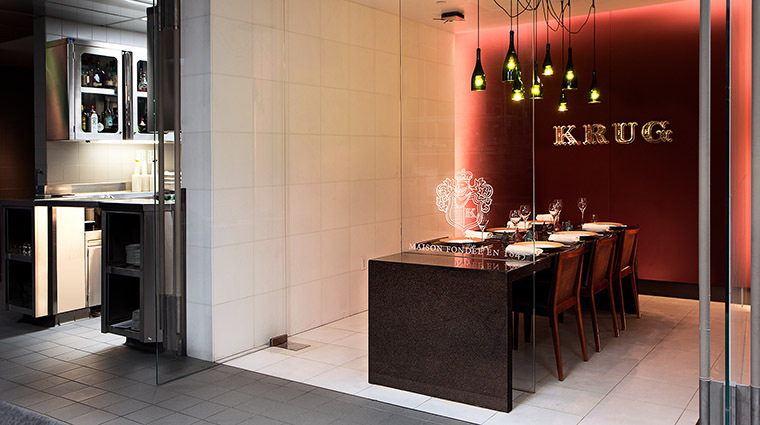 • There are only a few chef’s tables left in Las Vegas, but none are as close to the kitchen as the Krug Chef’s Table at Restaurant Guy Savoy. 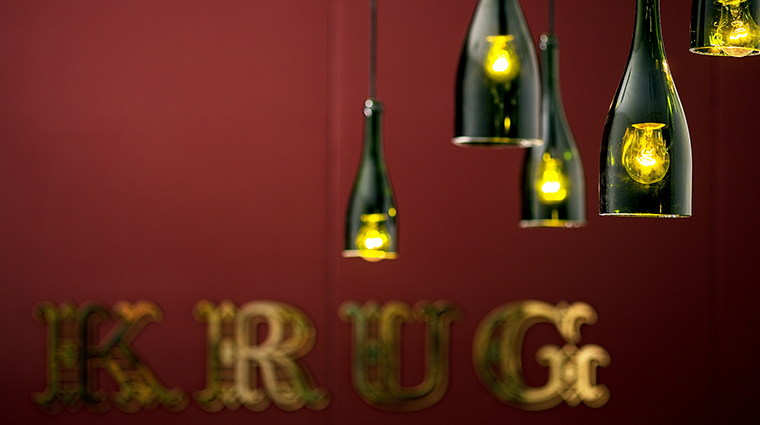 Reservations are mandatory for the only Krug Room in the United States, but you’ll be walked through the multi-course extravaganza by the chef himself as it comes straight from the line to your table. • The dress code is business casual. Despite the Las Vegas restaurant's high-end appeal, business casual dress is sufficient, but some do dress in semi-formal attire. • Plan on a leisurely meal. 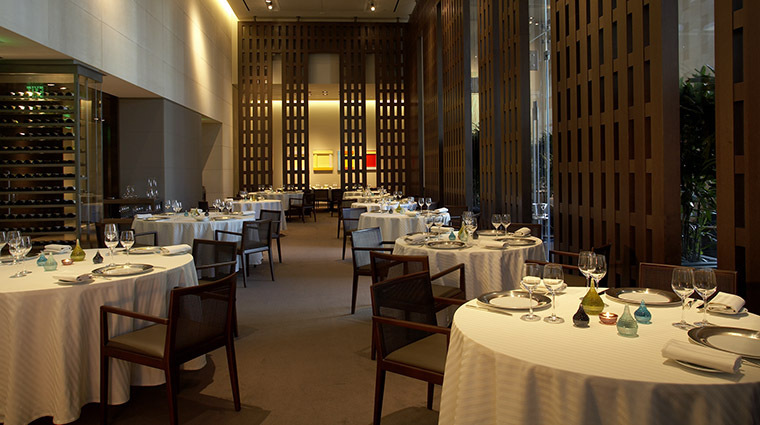 In French fashion, meals at Guy Savoy are meant to be savored, so you’ll want to allow three hours for a meal for two. • This Las Vegas restaurant is open for dinner from 5:30 until 9:30 p.m. Wednesday through Sunday. It is closed Monday and Tuesday. 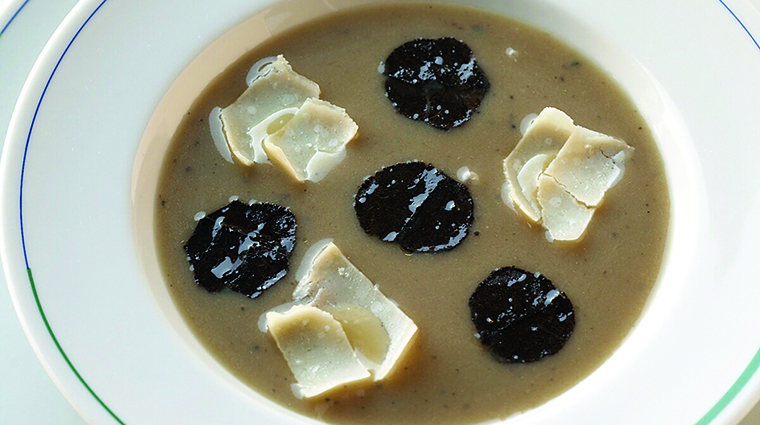 • If there’s one dish that is practically synonymous with Savoy, it’s the artichoke and black truffle soup, served with toasted mushroom brioche and truffle-specked butter. 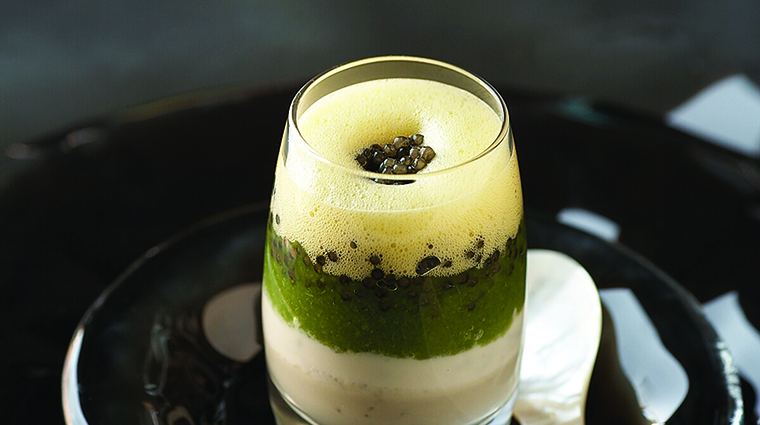 • Las Vegas stays very close to what its Paris sister restaurant would serve for the season, but it also keeps other signatures, such as Colors of Caviar, a parfait of luxurious fish roe in several different layers and textures. • Fans of contemporary cooking techniques delight in the Innovation Menu, where you’ll find treats such as the salmon “iceberg,” where a slab of pristine, sashimi-grade salmon is “cooked” on a slab of dry ice. • The bread cart is stacked with enough baguettes, buns and brioche that gluten-free diners may rethink their life choices; there’s even a bread sommelier who will pair each of your courses with an appropriate piece of pain. 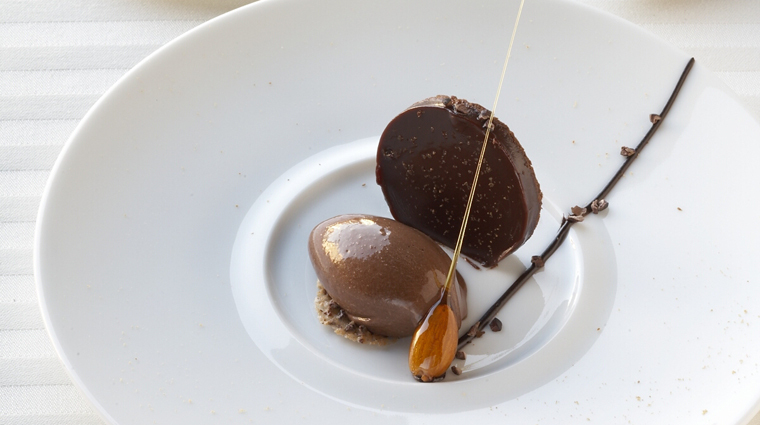 • The chocolate mousse — based on Savoy’s own grandmother’s recipe — is a must, as it the rice pudding, all served in perfectly portioned, individual-serving jars. • Growing up with a father who was a gardener and a mother who owned a taproom, which she would eventually transform into a respected restaurant, Savoy is one of the most famous chefs in France. • He’s earned plenty of accolades for his restaurants in Paris — including the original Guy Savoy, Le Chiberta and Les Bouquinistes — as well as a Forbes Travel Guide Five-Star award for the Las Vegas outpost. • Celebrity chef Gordon Ramsay trained under Savoy as the Scottish cook was starting out, and has long called him one of his culinary mentors. • It isn’t all that uncommon to see Savoy touching tables at the Caesars Palace restaurant; he comes back quite often to ensure things are running smoothly.